look what we made is an eclectic collection of maker stories from across australia, lovingly brought to you by the people behind frankie magazine. inside you’ll meet hatmakers and brewers, potters and jewellers. plus textile artists, illustrators, musicians, weavers, cobblers and a whole lot more creative folk doing what they love best. 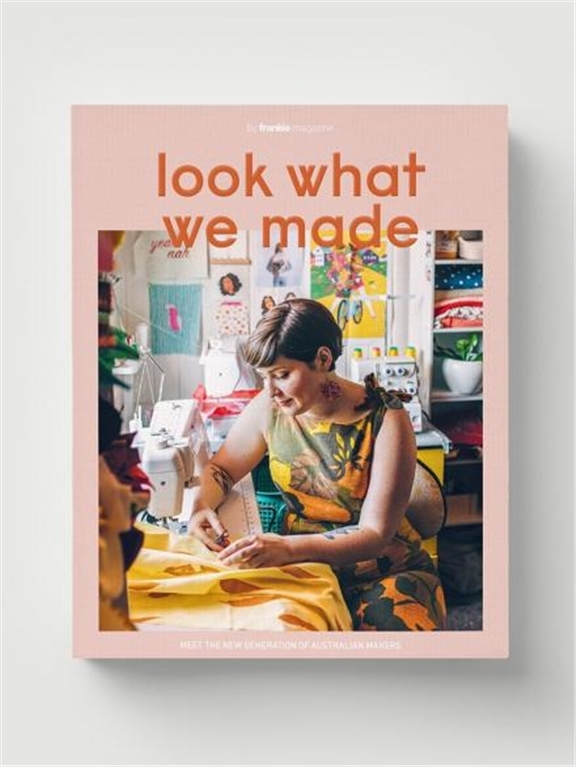 charting the skills, inspirations, spaces and day-to-day life of 38 local makers – from big cities and small regional towns – it's an affectionate (yet honest) tribute to the handmade way of life. beautifully photographed and presented in a 256-page coffee table format, and chock-full of tips for running a creative business, look what we made explores the good stuff and the grotty bits, the art and the offcuts. look what we made is on sale right now (rrp $26.95).